RECIPIENT OF THE PRESTIGIOUS CATHOLIC WRITERS GUILD SEAL OF APPROVAL. 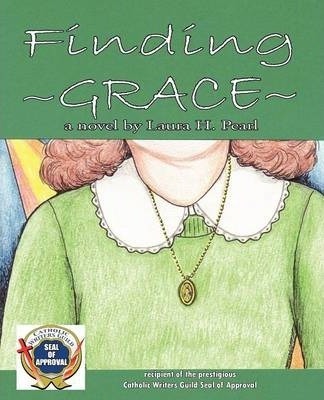 ABOUT FINDING GRACE: At the age of thirteen, Grace Kelly (who has been saddled with the name of a world-renowned beauty, but is far from one herself ) is inspired by an offhand comment from her father to become a saint. But coming of age and falling deeply in love for the first time in the early 1970''s-in the wake of the 60''s "sexual revolution" and the historic Roe v. Wade decision-presents true challenges for young people who are trying to live chastely. Grace realizes that without the help of God, the Blessed Mother, and all the saints in Heaven, navigating the thorny path to sainthood would be an almost insurmountable task. ABOUT THE AUTHOR: Laura H. Pearl grew up in Plattsburgh, New York and studied at the College of the Holy Cross in Worcester, Massachusetts, where she earned a BA in English. She married her high school sweetheart, with whom she raised five sons, and currently resides with him in Southern New Hampshire. This is her first novel.